Take Note Colorado envisions a state where all K‑12 students throughout Colorado have access to musical instruments and instruction. Our mission is to provide access to student-centered, culturally-relevant music instruction and instruments by connecting, convening, and catalyzing a diverse community of stakeholders. How will Take Note Colorado move the needle on this goal? By raising funds and hosting signature music events that build community to meet the Governor’s vision. By serving as a connector and convener to catalyze the efforts of musicians, music education providers, schools, citizens and businesses. By researching and better understanding the current state of music education across Colorado to provide tools and resources that will help communities mobilize solutions that best address their schools’ and students’ music education needs. 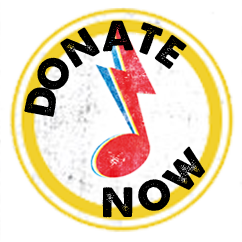 By helping to provide access to musical instruments and instruction for every K‑12 student throughout the state. Music is a huge part of the spirit and cultural identity of Colorado, not to mention a key component to our thriving economy. Click on a small circle to see more. Colorado took top spots in a 2016 National Endowment of the Arts arts-engagement study. In fact, Colorado ranked No. 1 in the percentage of residents who personally perform or create artworks, with 64.6 percent of adults. Colorado has a vibrant and diverse music festival scene that regularly draws visitors from around the world. Jobs in music festivals in Colorado have increased 70% since 2011. Take Note Colorado plays a part in the overarching Colorado Music Strategy, the first of its kind all-encompassing statewide strategy to increase revenue for Colorado-based musicians and music-related businesses while also raising Colorado’s music scene profile within the state and around the world. Colorado Music Strategy is a public-private initiative of Colorado Creative Industries and Bohemian Foundation; both organizations’ executive directors serve on Take Note’s Board of Directors, ensuring alignment between the two initiatives.